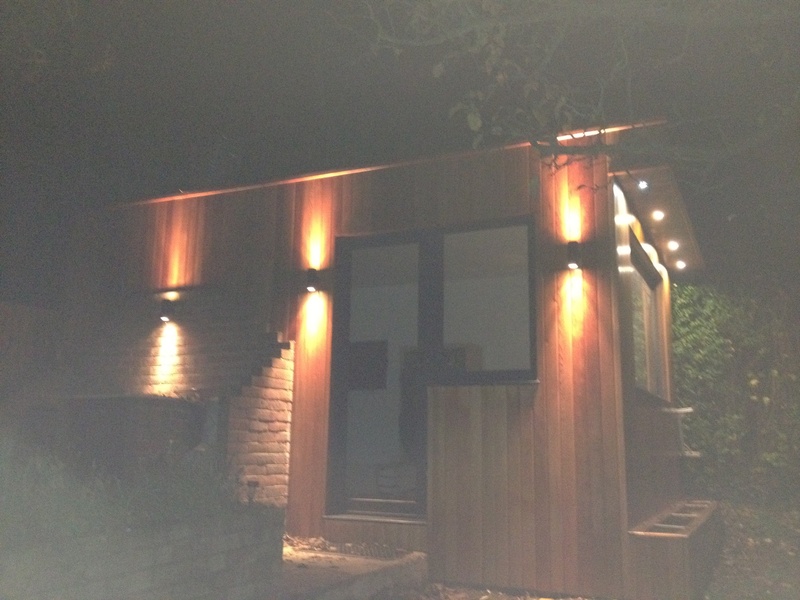 We have installed hundreds of outdoor lighting in London and the Home Counties. The amount of people installing outdoor domestic lighting has increased dramatically in the last ten years. There are two main reasons to have outdoor lighting. One, it can improve the look and feel of your garden. Landscape lighting will ensure your outdoor living space can be used long after dark. Two, it provides out door security lighting which aids in decreasing the chance of burglary or crime at it acts as a deterrent. The types of lighting that can be used outside vary. If you are green conscious, solar lighting is a good option but lights are not very bright and only work for a few hours. Outdoor halogen lights are conventional and guaranteed to give you the light you need however, the conventional bulbs wastes a lot of head and energy and can end up costing you more. Over the past 10 years, low voltage outdoor LED lights (SELV) have turned into the more popular choice of lighting. LED lights are now a lot cheaper than they used to be and advancements have made LED a lot brighter and able to stand weather and temperature changes. It has been proven that running an outdoor light is up to 85% cheaper than your conventional halogen bulb. To completely change the look of your garden, all you need is well positioned well placed garden lights. There are many different possibilities to help you get your outdoor space looking great. From contemporary lighting to the more traditional like lantern shapes, there are many options, and you are only limited by your own imagination. We have been building our reputation for over 20 years and only offer the best quality fittings and outdoor lighting solutions at a low price. We offer quality outdoor light solutions to homes and we source the best quality fittings at a lower price due to our purchasing power. 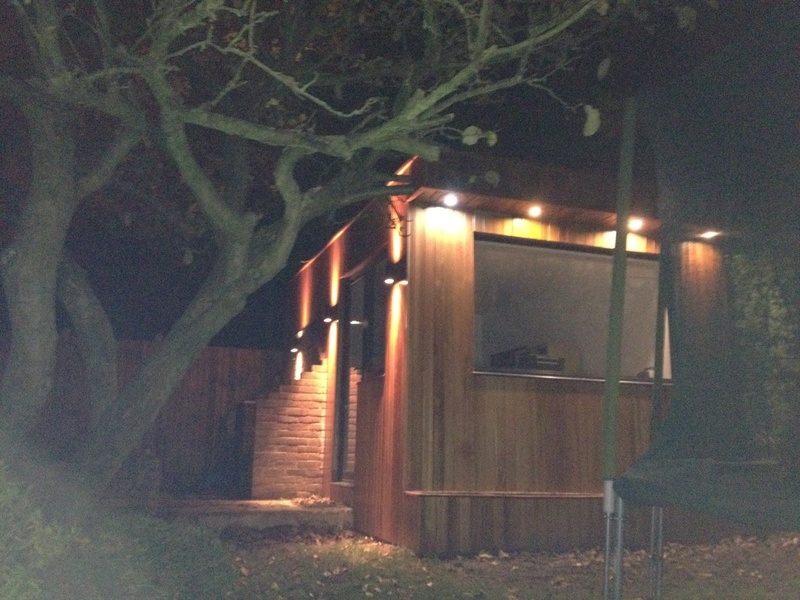 South London Electricians know exactly what will work for your outdoor space with our vast experience. We will install your dream light installation in your garden to some of the highest standards of workmanship. For a free quote or more information give us a call. External security lighting is one of the most low cost yet effective deterrents of burglars since it is known burglars are less likely to enter someone’s home when they have a bright light shining on them. Security lights even keep you safe by allowing you to see clearly and prevent you from tripping or falling if you do need to be outside after dark as well as crime prevention. Insurance companies like knowing people are investing in security measures because there is less likely to be a claim on their policy. Once we have fitted your security lights, give your insurance company a call to see if they will lower your premiums. Security lights have a motion sensor where a movement will activate the light. These lights can also be set to a timer. Outdoor LED security lighting is becoming the preferred choice. Not only are they very bright, they are extremely durable and have a much longer life span than traditional forms of halogen lighting. The other big benefit is that they are far cheaper to run than old forms of external lighting. For a non-obligation quote and very competitive prices, contact us for an informal chat to discuss how we can cater for your outdoor lighting solutions. 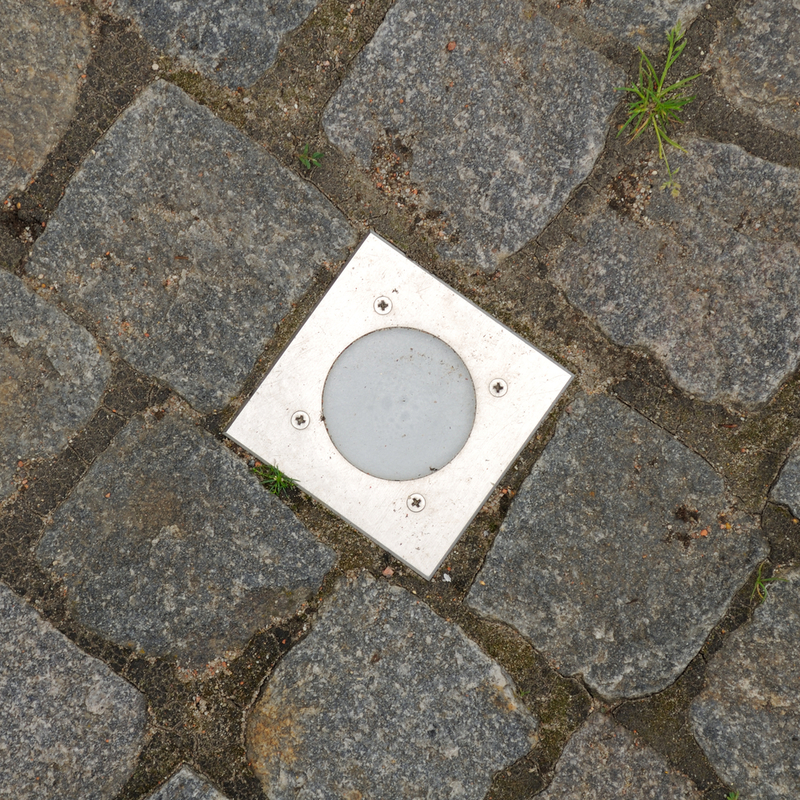 We carry out a lot of outdoor security lighting work for businesses, both commercial and industrial. As a business owner, you will know about the setbacks you can experience from a break in. Apart from having goods stolen, experiencing vandalism and property damage, your insurance premiums rise considerably after each claim. Make sure that you have adequate security lighting for your premises, not only as a deterrent, but also to meet health and safety obligations for clients and staff. If you would like your security lighting updated, or want a complete re-fit with the latest technology, just give us a call for some of the most competitive prices in London and surrounding areas.